Cannitrol – Stop Using Marijuana?? Cannitrol is a natural formulation that eases taking a break from using cannabis. For some people, stopping marijuana use can mean headaches, irritability, mood swings, the inability to sleep, petulance, not getting along with others and generally acting like a jackass. Many people use Cannabis to alleviate symptoms of mental distress, stress and anxiety, which can offer relief but often it masks problems until they grow too large to disregard. Steady marijuana use can often become a problem as it can cause new issues. Heavy users regularly have serotonin level problems, as smoking weed on a regular basis can “trick” the pineal gland into changing serotonin production rates. 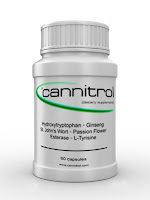 Cannitrol Contains 5-HTP which is a thoroughly studied and well-documented precursor to serotonin. This serotonin precursor facilitates serotonin production, helping to regulate serotonin levels. Stopping Marijuana use can mean headaches, irritability, mood swings, the inability to sleep, and the return of symptoms that were comforted by the marijuana use and more for some people. Heavy cannabis users incur increased tolerance levels. Users are successfully lowering their tolerance to Marijuana with the aid of Cannitrol. Cannitrol offers relief of symptoms often associated with stopping Cannabis consumption and helps to suppress urges to use Marijuana. The legality of marijuana is subject to change, although generally it is becoming more acceptable.“We do not promote nor condone the use of marijuana but are simply offering a helping hand to individuals who want to control their use.” says Ken Egar of cannitrol.com. Cannitrol contains Ciwujia (Eleutherococcus senticosus or Acanthopanax senticosus), which offers relief from the negative symptoms of psychotropic addictions. 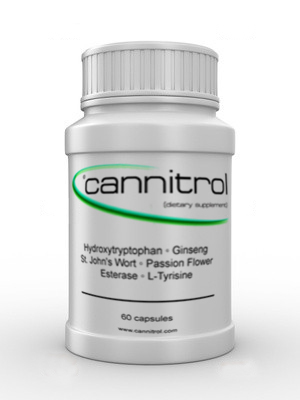 Cannitrol also includes Passion Flower (Passifloraceae) for nervousness and anxiety, Valerian Root (Valeriana officinalis, Valerianaceae) for stress and sleeping disorders and St John’s Wort (Hypericum perforatum L) for OCD/ADHD-like symptoms. Some people are legitimately using Cannabis as medicine, some people just like to smoke pot and some people are creatures of habit; they won’t stop using it because when they do, the effects are just too difficult to handle. For them it is often easier to continue using. Part of any genuine attempt to pass drug screening is moderation; Cannitrol can help with that too. There are numerous reasons someone would want to stop smoking/using cannabis. If you want to stop for a month, a year, or even permanently Cannitrol can help you get over your cravings for weed. Cannitrol is available on Amazon.com which makes it very accessible and can be delivered overnight. It’s a sensibly priced supplement that is available without a prescription. This is GREAT for tolerance breaks!